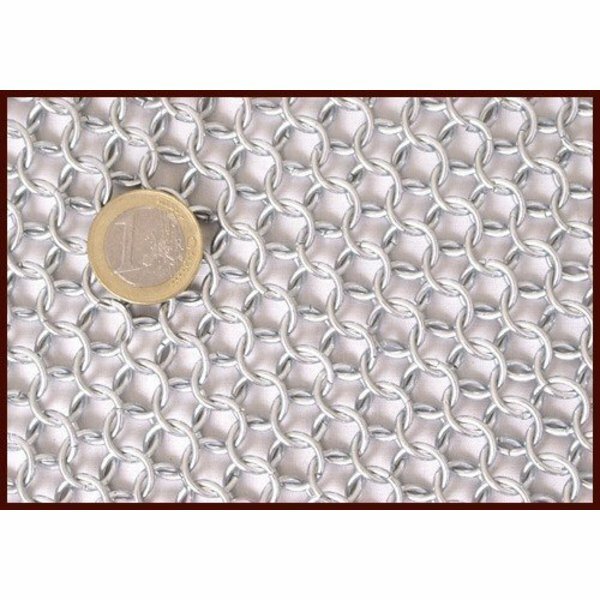 This hauberk is made of 1,6 mm thick zinc-plated butted round rings with an inner diameter of 8 mm. The rings are handwoven four in one. 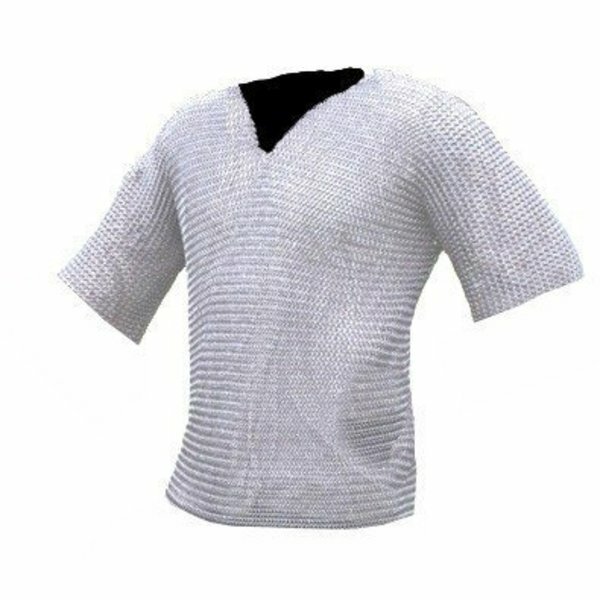 The hauberk has mid-length sleeves and reaches just over the hip. 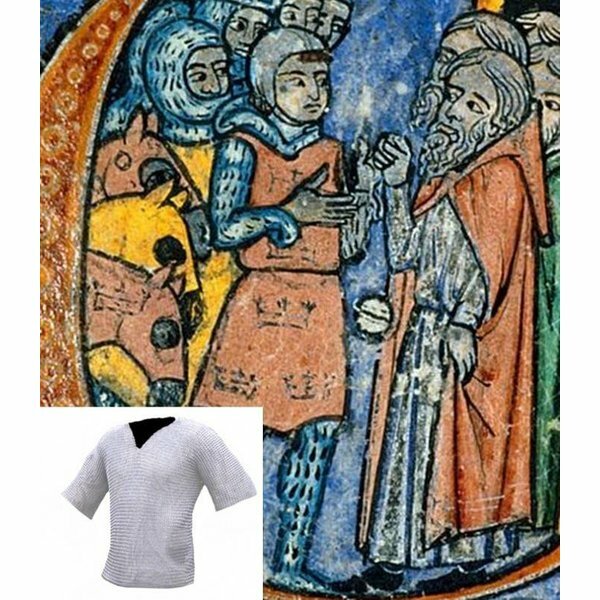 It is available in the sizes M, L and XL.The chest circumference is measured including a gambeson (subarmalis). Length: from the shoulder to hip (short) / knee (long). Chest / breast: circumference around the chest, breathe in properly. 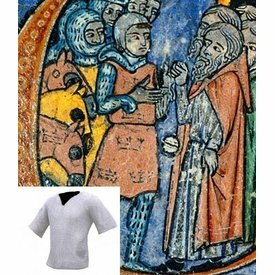 Arm / sleeve: sleeve length from shoulder to elbow (short) / wrist (long). Which size hauberk should I choose? When you wear a gambeson, your breast circumference is around 15 cm larger.